Michelle Williams is returning to television for the first time in 16 years. She's playing dancer and actress Gwen Verdon, whose career aspirations were supplanted by her marriage to choreographer-director Bob Fosse. PASADENA, Calif. (AP) — Michelle Williams is returning to television for the first time in 16 years, playing dancer and actress Gwen Verdon whose career aspirations were supplanted by her marriage to choreographer-director Bob Fosse. Oscar-winning actress and Monessen High School graduate Frances McDormand continued her march through awards season Sunday night at the BAFTAs in London. The British Academy named her best actress for her role in "Three Billboards Outside Ebbing, Missouri." 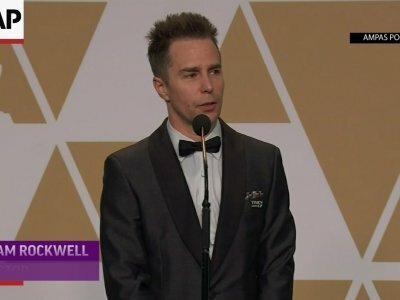 Director Martin McDonagh's film about a bereaved mother seeking justice also won best film, outstanding British film, best supporting actor for Sam Rockwell and original screenplay for McDonagh. Traffic Stop has been running on HBO throughout the month, but you may finally want to check it out after seeing it get mentioned on Oscar night. While it didnt win the prize for best documentary short, this narrative about a black woman manhandled by police during a routine traffic stop packs a punch. 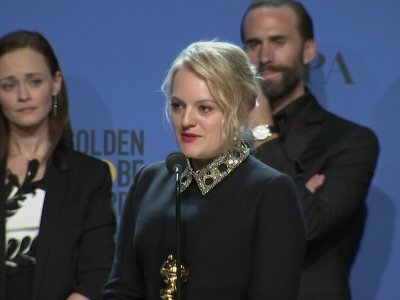 If youre only interested in winners, dont forget that Icarus, which won best documentary feature, is available on Netflix. Christopher Plummer said shooting 'All The Money in the World' in nine days was like "old times". The 88-year-old Hollywood legend replaced Kevin Spacey in the Sir Ridley Scott biopic after the 'Seven' actor was accused of a number of sexual assault allegations, and Plummer - who comes from a theater background - was used to the quick reshoots. LOS ANGELES (AP) — Sam Rockwell continued his awards season dominance, winning best supporting actor at the Academy Awards on Sunday for his portrayal of the dimwitted, racist cop Jason Dixon in "Three Billboards Outside Ebbing, Missouri." It is the first nomination and win for the 49-year-old actor. LOS ANGELES (AP) — Can backlash tank a film's Oscars prospects? Film — "Three Billboards Outside Ebbing, Missouri"
British Film — "Three Billboards Outside Ebbing, Missouri"
Director — Guillermo del Toro, "The Shape of Water"
Actor — Gary Oldman, "Darkest Hour"
Actress — Frances McDormand, "Three Billboards Outside Ebbing, Missouri"
Supporting Actor — Sam Rockwell, "Three Billboards Outside Ebbing, Missouri"
With little on the agenda other than posing for a group photo, Monday's gathering was a chance for nominees to bask together in their exalted status together before the Academy Awards are presented on March 4. Role: Jason Dixon, a doofus police deputy. Then again: Some voters might feel his shifting from Barney Fife to Travis Bickle and back is outlandishly over the top. The movie might be called "Three Billboards Outside Ebbing, Missouri," but it was filmed in North Carolina. The western North Carolina towns of Dillsboro, Black Mountain and Maggie Valley helped fill in for the fictional town of Ebbing. By winning three awards at the Screen Actors Guild ceremony Sunday night, “Three Billboards Outside Ebbing, Missouri” just moved into the lead for the Oscars. Because actors comprise the largest number of voters in the Academy of Motion Picture Arts and Sciences, it’s likely it’ll do well in the biggest sweepstakes of them all. Sunday, “Three Billboards” won Best Ensemble (which is equal to a Best Picture win), Best Female Actor (Frances McDormand) and Best Male Supporting Actor (Sam Rockwell). Revenge tale "Three Billboards" wins best ensemble, best actress for Frances McDormand, best supporting actor for Sam Rockwell. PASADENA, Calif. (AP) — Expletives dotted the weekend television landscape. On "Saturday Night Live," guest host Sam Rockwell let one slip during a skit. He was playing an increasingly frustrated TV science host trying to lead two clueless students through an experiment. Martin McDonagh insists 'Three Billboards Outside Ebbing, Missouri' isn't a "dissection of modern-day American politics". The 47-year-old screenwriter and filmmaker helmed the new dark comedy movie, which stars Frances McDormand, Woody Harrelson, Sam Rockwell and Peter Dinklage, and tackles the kidnapping and murder of a teenage girl. Although the movies centres on some unpleasant topics, McDonagh is "interested" to see the critical and popular reaction. 1. Is Frances McDormand in it? 2. Is Sam Rockwell in it? 3. Is Woody Harrelson in it? If I answer yes to any of those questions, then I’m in. And what do you know, “Three Billboards Outside Ebbing, Missouri” is a yes to all three. I was bound by obligation to see the new movie. NEW YORK - Guillermo del Toro's Cold War-era fairy tale "The Shape of Water" swam away with a leading seven nominations from the Golden Globes, while the HBO drama "Big Little Lies" led television nominees with six nods. "Three Billboards Outside Ebbing, Missouri" has garnered a lot of hype already as it has made its debut at many recent film festivals. Can it live up to the critical acclaim? The answer is a resounding: Yes! Frances McDormand, Woody Harrelson and Sam Rockwell star in this dark crime drama. While it's also classified as a comedy, it is pitch black. The drama overrides the comedy.